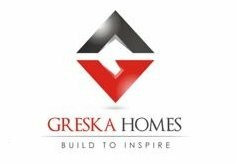 Greska Homes is dedicated, to the pursuit of excellence in residential construction. This underlying principle drives every project we deliver; from conceptual design through to completion. Comprehensive project management expertise and a large portfolio unique designs, translates into every project and demonstrates genuine joy and passion for what we do and strive to accomplish for our clientele. Whether you are starting from a blank canvas, wanting to create a unique home or restoring/extending an old dwelling; Greska Homes are committed to creating a beautiful & sophisticated, liveable space within all budgets. We aim to provide the best solutions and are determined to cater for your individual requirements, suitable for any budget. Constant research for further cost effective solutions and designs that drive the value of your investment further allows us to deliver a high end product for a tailored budget. We work closely with our clients through the entire building process therefore the experience is both rewarding and inspiring. Our focus on design and construction is always in harmony, ultimately guiding your investment to surpass your expectations. We strive to deliver your project with high end designer finish without any compromises or hidden costs. We deliver a balance of contemporary design and construction techniques that produce exceptional outcomes, driving industry benchmarks and standards to a new level.